University of Massachusetts Press, 9781625343369, 184pp. 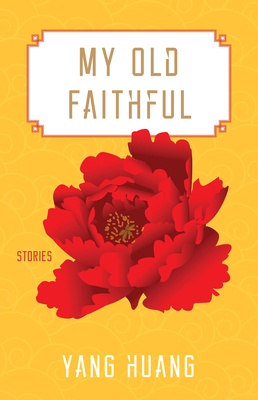 Showing both the drama of familial intimacy and the ups and downs of the everyday, My Old Faithful introduces readers to a close-knit Chinese family. These ten interconnected short stories, which take place in China and the United States over a thirty-year period, merge to paint a nuanced portrait of family life, full of pain, surprises, and subtle acts of courage. Richly textured narratives from the mother, the father, the son, and the daughters play out against the backdrop of China's social and economic change. With quiet humor and sharp insight into the ordinary, Yang Huang writes of a father who spanks his son out of love, a brother who betrays his sister, and a woman who returns to China after many years to find her country changed in ways both expected and startling. Yang Huang grew up in China's Jiangsu province and participated in the 1989 student uprisings. Her debut novel, Living Treasures, won the Nautilus Book Award silver medal in fiction, and her essay and short stories have appeared in The Margins, Eleven Eleven, Asian Pacific American Journal, The Evansville Review, Futures, Porcupine Literary Arts Magazine, and Nuvein. She lives in the Bay Area and works for the University of California, Berkeley.